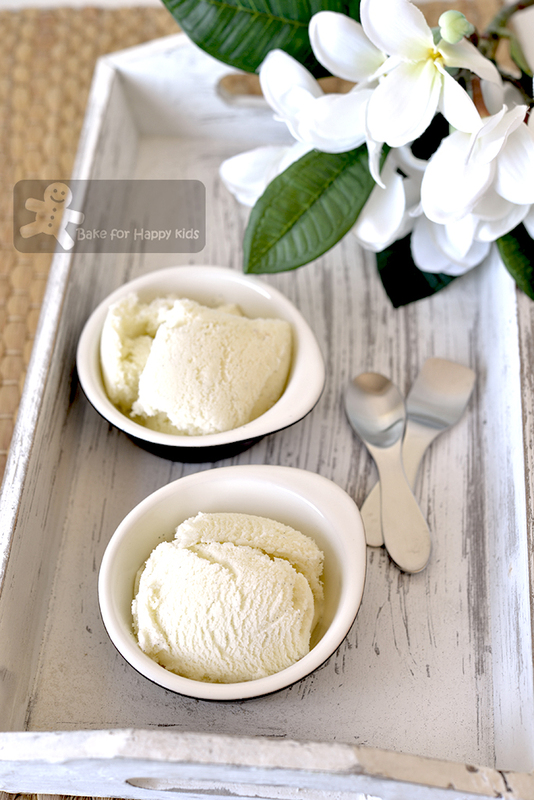 Today, I will be sharing a fantastic gelato recipe! Is gelato the same as ice cream? Although gelato is the Italian word for ice cream, both are actually quite different! According to Food Network, both gelato and ice cream contain cream, milk and sugar but the authentic gelato uses more milk and less cream than ice cream and doesn’t contain egg yolks and any egg, which are a common ingredient in ice cream. This is why the fat content of a typical ice cream is 14 -25% whereas and the fat content of an Italian gelato is only 6-12%. Interestingly, gelato contains less air than ice cream, making it softer, smoother and "creamier" than ice cream. And of course, ice cream is served in rounded scoops while gelato is served with a spade. My son and I had a good time learning a lot about gelato after attending a gelato making course at Florence. The hand-on course allowed us to make one gelato flavour from scratch and has kindly shared many of their wonderful gelato recipes. "Can I create my own gelato with an unique flavour? I asked myself silently during the midst of the course. Lavina, the gelato-making instructor has taught us the correct composition of a good gelato and gave me several formulas to understand the concept further. By the way, if you are interested to attend this half-day course, it is Walkabout Pizza and Gelato Cooking Class. Located at a Farmhouse at Tuscany country, this class is highly rated by TripAdvisor because the instructors and staff members are very knowledgeable and helpful. I find this course very useful for me and I would highly recommend this family-friendly course to everyone. This is the Vanilla Gelato that is made with minimal sugar and cream! It is light, smooth and fluffy! Yummy!!! This composition will ensure that the gelato won't be too icy or oily or hard. It will be in its ideal easy-to-scope smooth creamy consistency. And there is NO thickener or gelatin required! Even with the given percentages and formulas, I must admit that it is actually quite difficult to calculate and work out the composite of a good gelato because different ingredients have different sugar, fat, solid and liquid contents and any slight changes in the combination will adjust the consistency eventually. 32% solid, this is the minimal! 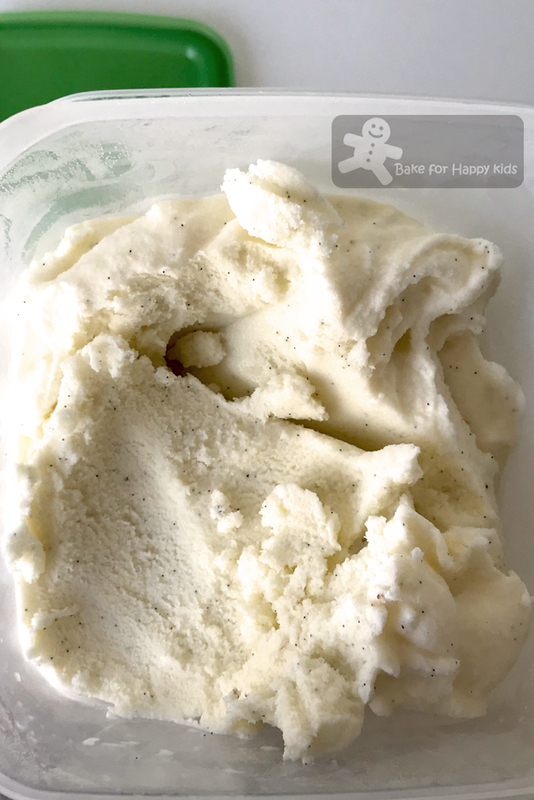 I have to admit that my skinny less-guilty vanilla gelato is a little towards the icy side but its texture is still creamy and smooth enough for maximum enjoyment. If I adjust the sugar and fat content even lower, the gelato will become icy and won't be nice enough to enjoy! Here's the video showing I made this gelato. 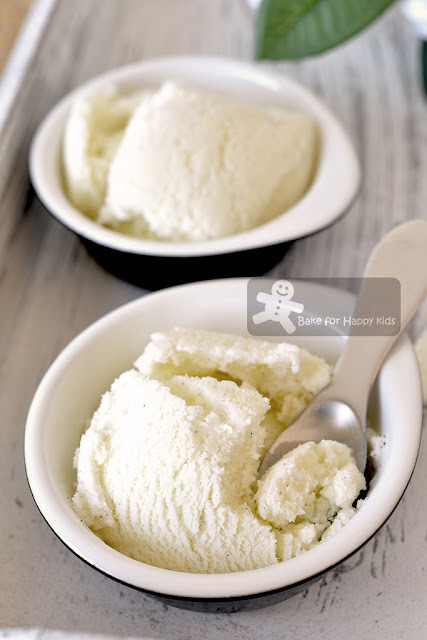 You will see that this mix-and-churn ice cream is extremely easy to make and contains only four very basic ingredients! Having said that, I'm sorry to say that an ice cream maker is a must for making this gelato! I'm impressed. My light and skinny vanilla gelato is actually smooth and yummy! And we want MORE home-made gelato!!! "We don't want you to make ice cream anymore!" said my husband. "Yes, mum. We love your gelato. Can you please make more?" added my son. "From now on, can you make gelato and not ice cream?" said my husband, reconfirming his preference for gelato, not ice cream... LOL! Now, we can't say that summer would not be summer without an ice-cream... It will be our summer would not be summer without a gelato! LOL! Although we love ice cream and treats, we are health conscious too and prefer our delicious food not to be over-loaded with unnecessary sugar and fat and this gelato is perfect enough for our liking! For the best consistent result, it will be good to measure all ingredients by weight, not the measuring cup system. And DO NOT reduce and change any of these amounts! Combine all in a large mixing bowl and use a hand whisk to whisk for about 2-3 mins or until the sugar is roughly dissolved. Transfer the mixture to a pre-chilled ice cream maker and freeze following the manufacturer's instructions. Due to its high liquid composite, this gelato will take at least 30 mins to churn or might take up to 50 mins. Hence, it is important to make sure that your ice cream maker is well-chilled prior churning the gelato. If your ice cream maker is not cold enough to churn the gelato after 20 mins, place the maker back into the freezer with the gelato in it and let it freeze for another 1-2 hrs, Then, continue to churn further until the gelato reaches the right consistency. Transfer into an airtight container to set in the freezer for about 3-4 hrs before serving. This gelato won't be hard and icy and will be easy to scoop even immediately after removing it from the freezer. Freeze for up to 1 week in home freezer because this gelato hasn't been stabilised with any thickeners and eggs and might become icy after 1 week or more. Possible if I do not have an ice cream maker? Sorry that I have mentioned in my post... "an ice cream maker is a must for making this gelato!" These days, you can buy a basic ice cream maker for about SGD or AUD $50 and I reckon it is a good long-term investment :) So nothing is impossible if you are willing to spend $50. Cheers!